With Lely T4C InHerd you can CHECK your cow and herd performance, ACT directly and IMPROVE your farm results. As a first step in this new management approach, Alexander van der Lely revealed the Lely T4C InHerd: A platform with farm management tools for mobile devices. Lely T4C InHerd is a modern farm management system that enables the farmer to check where his attention is needed most. The tools will help the farmer to act accurately by coaching him to do the right action, at the right time and in the right place. System: the new tool for monitoring the Lely Astronaut milking robot more efficiently on farm. System allows the farm manager to monitor the Lely Astronaut milking robot on the dairy farm in a more efficient way on a mobile device. Click here for more information. This new tool enables farmers to share key performance indicators with their advisors to make more, better and faster use of their expertise. FarmVisit is a major step forward in the information exchange of dairy farms. From now on advisors are able to check farm performances on their mobile device when and wherever it is needed. - Today, actions for multiple cows via batch entry. More detailed info on M4USE task. - Cow: Conductivity graph, temperature last milking and location included. 3-teat option in milk settings. - General: improved and simplified user-friendliness. "Click to experience and see how easy it is to use T4C in a real time environment, anytime, anywhere.."
The period right before and after calving is an intensive period for both the cow and the calf. It needs to be closely monitored by the farmer. When no rumination activity is measured for too long in between 10 days before and 5 days after the reported calving, you will immediately receive a Distress alert from the Lely T4C InHerd system. This allows you to take action immediately. Health Attentions task within InHerd-Today combining all available sensors and information on farm to show only the cows which needs the farmers attention. Besides various practical updates such as direct milk separation action, sire search and show option, improved order of common actions, the Lely CowLocator has been introduced. No more loosing time searching for cows as the Lely CowLocator tells you where they are in your barn. Today generates a personalised task list based on your daily routines and the T4C settings on your dairy farm. Check individual cow information and assign actions directly. Check your herd and milking robot performances. Get notified when a robot has no milk time or a too long dead milk time. Learn how a task should be done on your dairy farm. 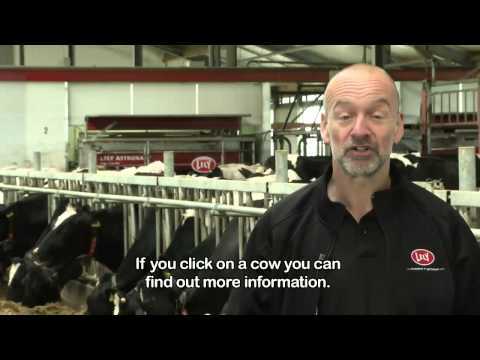 Communicate fast and efficient with other InHerd users on your dairy farm. Check which preventive maintenance your Lely equipment needs. Manage user accounts and create shifts on your dairy farm. Monitor the performance of your Lely Astronaut milking robots. Share your key performance indicators with your advisors to make more effective and faster use of their expertise. Register and monitor hoof health.